Take Home Message: Male semiprofessional soccer athletes have a higher prevalence of femoracetabular impingement (as measured by alpha angle) than male amateur soccer athletes. Femoracetabular impingement (FAI), specifically a cam-type impingement, is a key risk factor for hip osteoarthritis. FAI is common in young male elite that participate in sports such as soccer, football, and ice hockey that create excessive stress to the hips; however, it is unclear if amateur athletes are also at risk for FAI. The authors of this study compared the presence of radiographic FAI in 44 male soccer athletes (22 each semiprofessional level and amateur level) as well as compared functional and clinical outcomes between the two groups. Soccer athletes in both groups were 18 to 30 years of age. An orthopaedic surgeon and radiologist assessed the presence of FAI by measuring the hip alpha angle on magnetic resonance images that were acquired on both hips of each athlete. Larger alpha angles are related to cam-type FAI. Semiprofessional soccer athletes had larger alpha angles (57.3 degrees) in the hip of their kicking leg than amateur soccer athletes (51.7 degrees). Furthermore, 63% of semiprofessional and 27% of amateur athletes had cam-type FAI present in their kicking leg (alpha angle > 55). Clinical and functional outcomes were similar between groups; however, amateur soccer athletes scored better in the hip outcomes sports subscale score and had less hip internal rotation bilaterally than semiprofessional soccer athletes. These findings affirm that FAI prevalence is high within a soccer population, and that level of play may affect the predisposition to FAI, and ultimately, hip osteoarthritis. The repetitive kicking motion that combines flexion and internal rotation may cause microtraumatic wear that stimulates FAI development. While it would be interesting to follow these cohorts over time, it is evident that there are differences despite the athletes being largely asymptomatic. Future studies could offer more details about sport performance (e.g., kicking velocity). Furthermore, we recently learned that FAI may develop while athletes are skeletally immature so it might be beneficial to not only classify athletes based on their current skill level but also their skill level when they were still maturing. 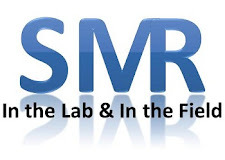 Lastly the authors admit that a limitation to this study is their use of standard magnetic resonance imaging as opposed to an arthrogram that may tell us more about the prevalence of concomitant labral damage. Clinically we need to decide what we should do about this, perhaps addressing technique, limiting kicks, or determining if there is anything that may be able to be done to intervene once the FAI is detected. It is evident that high-level athletes are at risk, but we need to better understand how much and what type of stress may be dangerous in skeletally maturing athletes so that we can implement prevention programs to modify these risk factors. Questions for Discussion: What clinical modifications do you think might be necessary to prevent FAI in an at-risk population? Is there anything that you are seeing done clinically that has helped with chronic hip pain? I think this is an interesting topic. I am not surprised by what your study found. In the little experience I've had, I have found FAI in multiple male college soccer players. I think understanding where it stems from most commonly is the key. As you mentioned the repetitive kicking causes microtrauma, but if the problem is occurring much earlier in time we need to address that. I think as more research is done to find FAI in adolescents, there could be some guidelines in how many kicks they should be limited to much like little league pitchers. Kaitlyn-Thank you for your reply. The authors of this study have found very interesting trends that may point to a period of vulnerability. I agree that more research needs to be done, and hopefully we can find a way to prevent these issues. How have you (or others) managed the FAI cases that you have had? Interesting findings! I that if this study were to be recreated with female soccer players, if they would find an increased risk of pincer deformities to support previous literature. Some questions I have regarding this study would be, what percentage of these athletes symptomatic and if little to none, what could be done other than rehabilitation. Having an increased risk of FAI wouldnt warrant drastic protocols unless they were actively afflicted by it. You make some great points Thomas. I think that replicating this study in a female population would be tremendously valuable. These participants were largely asymptomatic. But there has been a clear link between these deformities and hip OA later in life. So I think it is important that we try to find something to intervene in efforts to prevent long term pain and disability.